Want to join the Committee? It’s nineteen years since we last presented a Gilbert and Sullivan Operetta, the popular “Pirates of Penzance”. 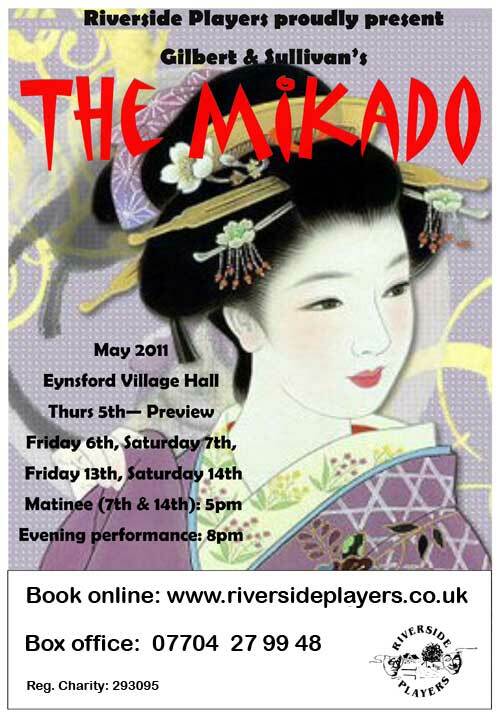 So, it’s long gone time we did another of these hilarious and rewarding shows and there can be none better than the best-loved of them all, the famous “Mikado”. With so much witty scripting, acting opportunities and wonderful music, this show has been delighting audiences for more that a century. It has spawned many imitations but none as good as the original – and it is the original version, in all its glory, that I am directing in May 2011 – with perhaps just a few updates to add to the fun. We shall be producing the show in Eynsford Village Hall with a small live orchestra and, with all the musical and vocal talent we have in the group, I expect to cast most of the parts from within.